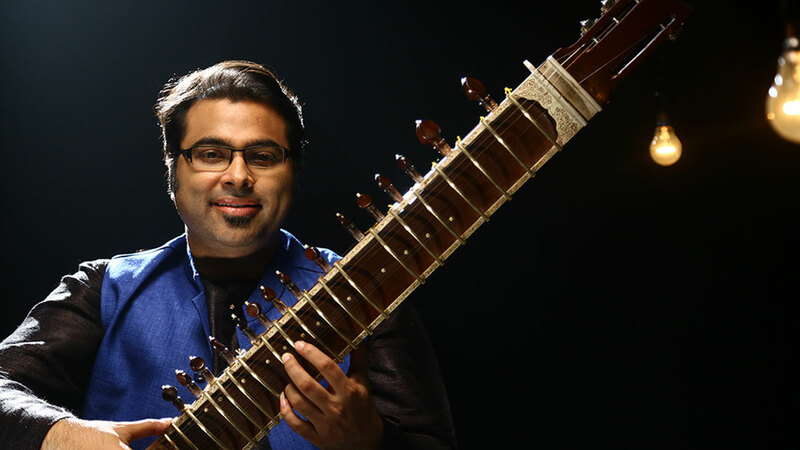 Purbayan is considered as one of the finest Sitar players in Indian Classical music and has attained a very special place for himself among the musicians and music lovers around the world. Purbayan belongs to the famous Senia Maihar Gharana, the school established by musical genius Baba Allauddin Khan, the guru of stars such as Ustad Ali Akbar Khan, Pandit Ravi Shankar and Pandit Nikhil Banerjee. Purbayan is a multifaceted musician. Along with his concerts of North Indian raga music, he also performs with musicians from the South Indian raga tradition and participates in various fusion projects with jazz and world musicians all over the globe. Purbayan is an astounding vocalist and has lent his soulful voice to many mellifluous compositions. His soulful and dexterous performances have evoked praise and admiration in various music festivals in India and abroad. Awards and accolades came his way early in life. Purbayan was a recipient of the President of India Award for being the Best Instrumentalist of the country at the age of 15. He has also received the prestigious Aditya Vikram Birla Award for excellence and contributions to the field. He has been awarded the highest artist-grade by the All India Radio. Purbayan has performed in esteemed venues in his international career spanning 26 years, some of which are Queen Elizabeth Hall, London, Sydney Opera House, Ted Baxter Hall, Capetown, Konzerthaus, Berlin, Esplanade Theatres, Singapore, Adelaide Festival Centre, Theatre de la Ville, Paris, Salle Gaveau, Paris, Palais de Beaux Arts, Brussels.